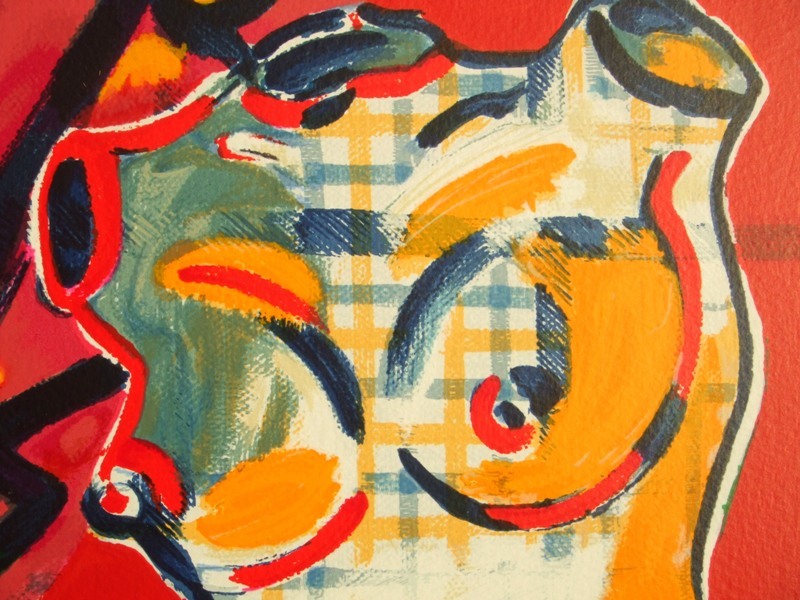 Print number 37 from an edition of only 100 impressions. 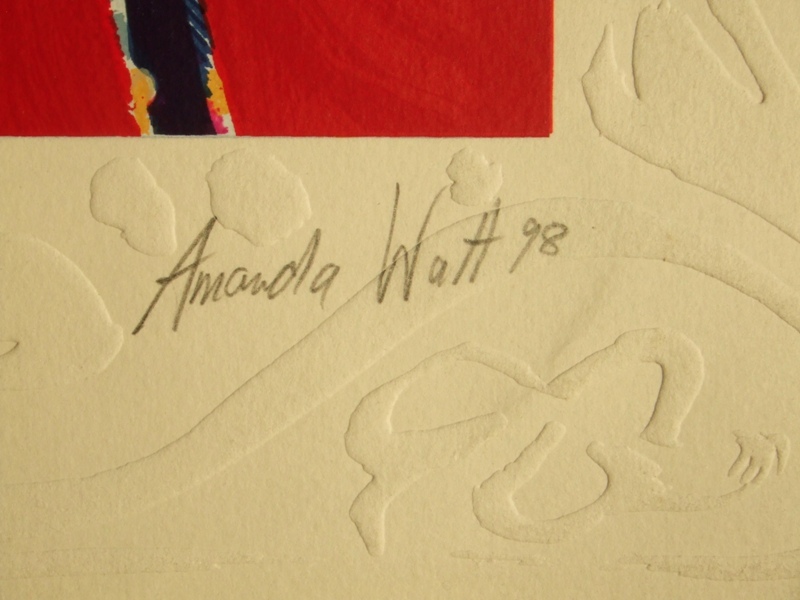 Amanda Watt (b. 1960) Artist Amanda was born in Ireland in 1960, and has exhibited internationally, with a strong showing in California. 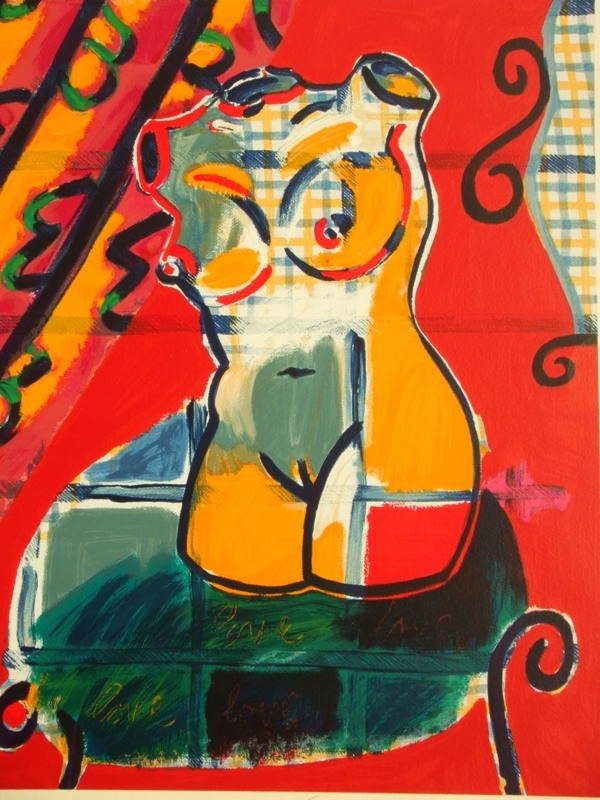 In her paintings, woodcuts and etchings, her hallmark is clearly the generous use of vivid colors. Avowedly indebted to cubism, expressionism and primitivism, Amanda describes herself as a 'fusionist' incorporating techniques of the past with her own very personal, contemporary twist. 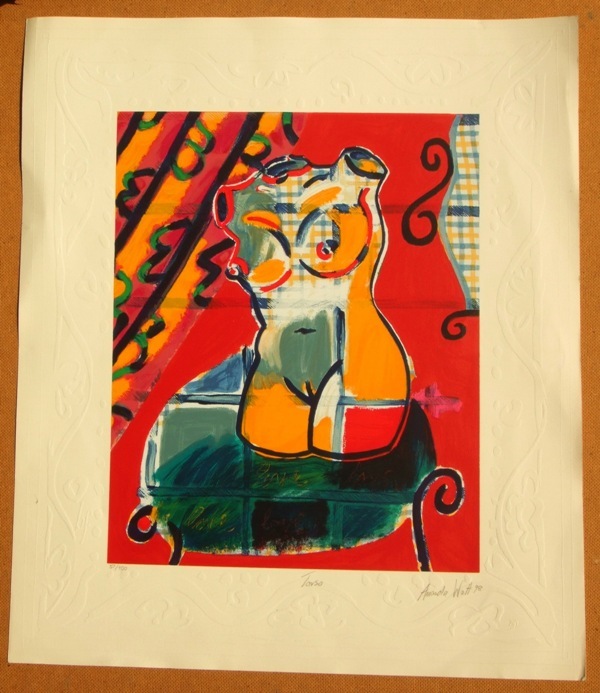 A fine print which is bright and unfaded in coloured inks, the image measuring 33 cms. x 40 cms. ( 13 x 16 ins.) printed on a wove paper sheet size of 51 cms. x 59 cms. ( 20 x 23 ins.) with pattern embossed full margins. 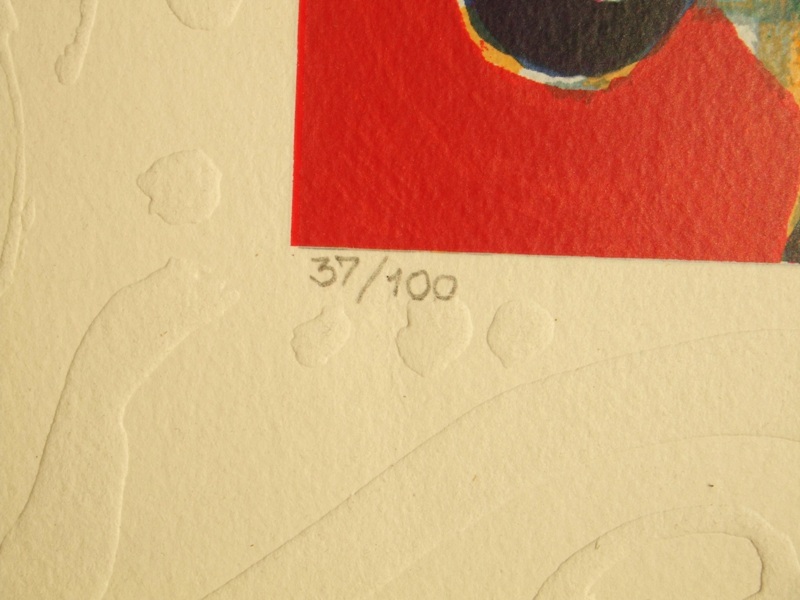 Signed, dated and titled in pencil by the artist with the edition 37/100 in the lower margin.